United States Navy. 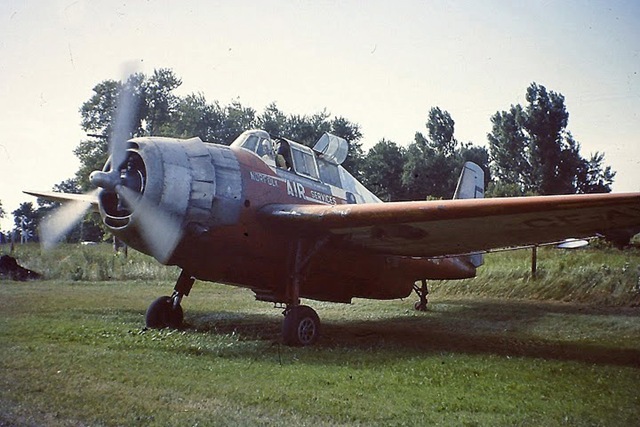 General Motors TBM-3. Construction #3891. Delivered as Bu 53829. Pete Fountain, Moscow, ID, 1963-1964. Registered as N9591C. 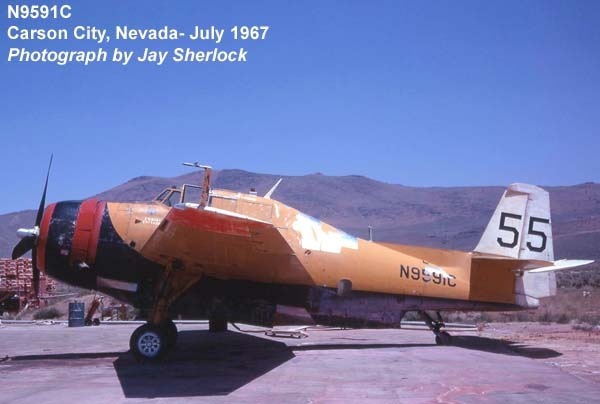 Sonora Aviation, Carson City, Nevada, flew as #55. 1972 – Flew in Quebec 1972 only. Pilot Falkowski. 1973 – Pilot Falkowski. 1974 – Pilot Inman. 1975 – Pilot McIlwaine. 1976, 1977 – Pilot Losee. 1978 – Pilot Woods. 1979 – Pilot J. Wood. 1980 – Pilot Wood. 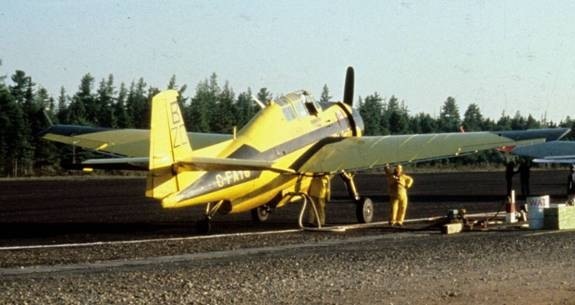 1981 – Pilot Harrison. 1982, 1983 – Pilot Farrell. 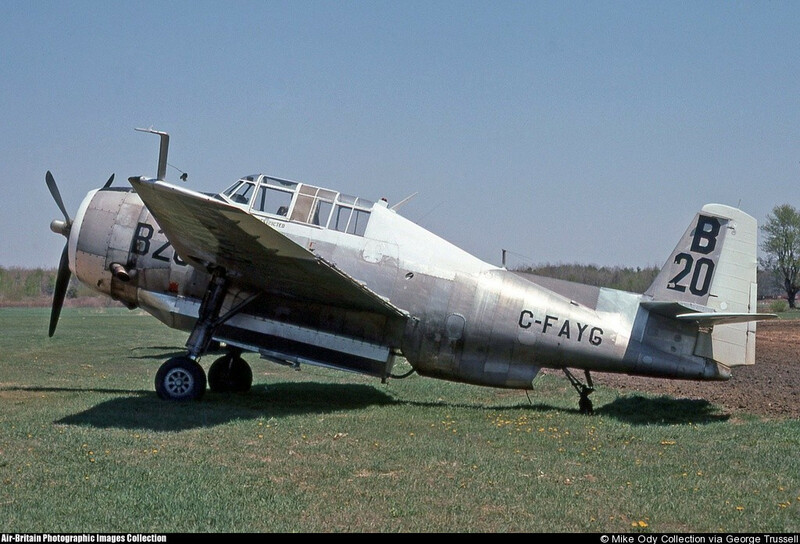 1984 – Did not fly for FPL in NB. 1985 – Sold to company in North Dakota. Certificate of Registration cancelled. 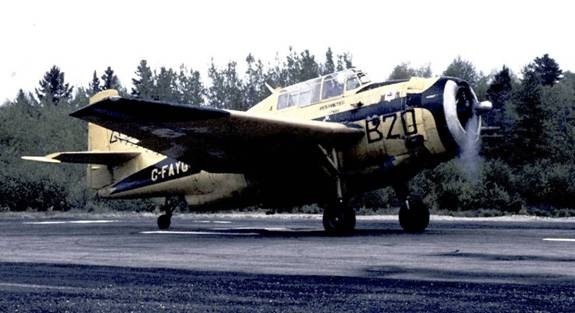 Norfolk #B20, with new bright yellow paint job, in pits at Brockway, 1981. Norfolk #B20 with faded paint job on runway, 1983. Odegaard Aviation, Kindred, ND, September 1985-1988. Registered as N293E. Gerald S. Beck/Tri State Warbird Collection, Wahpeton, ND, January 14, 1991-2002. 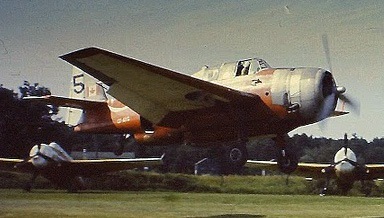 Flown as Marines/53829/CC-89. 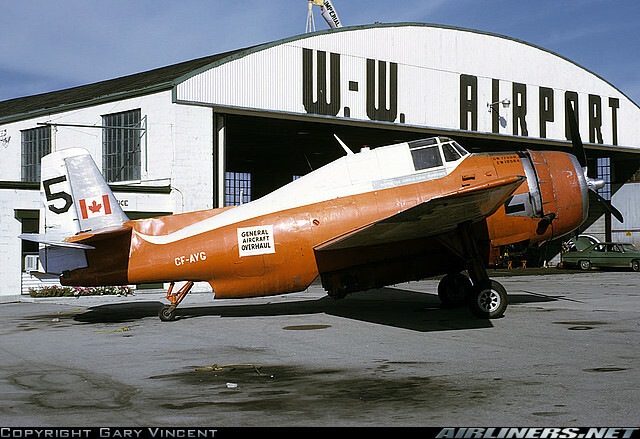 Wow Great Memories – Flew in the back seat of B20 on the ferry flights to and from Nixon Ontario back in the late 70’s . Jerry Losee was in the front seat Wingmen were Paul Ragany Bill Harisson Frank Gilland Dale Wilkie Can’t remember the rest. I was a rooky maintenance apprentice. Man those were fun times.